It’s been a long time since we needed to find a suitable reservation plugin for one of our WordPress templates. That’s when we discovered easyReservation plugin that offers truly easy reservations for hotels/apartments, event booking as well as appointments planning. 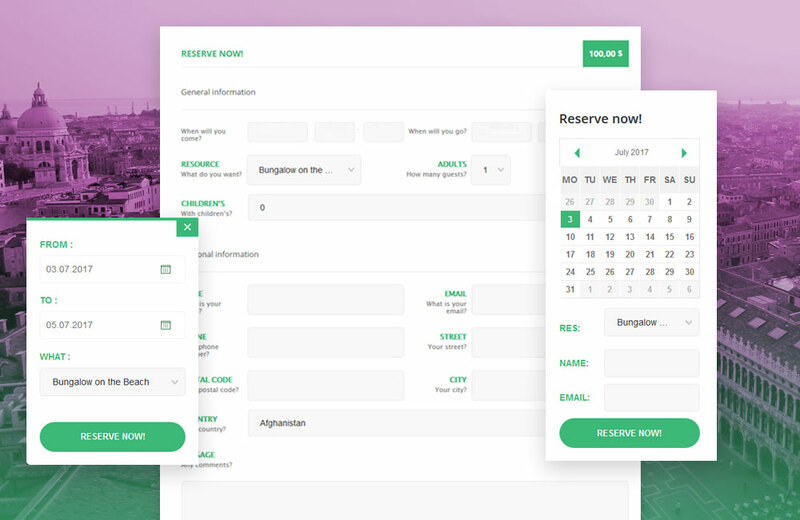 Since then we’ve built several templates, fully compatible with easyReservations plugin and precisely designed so that they look best when integrated with this reservation plugin. 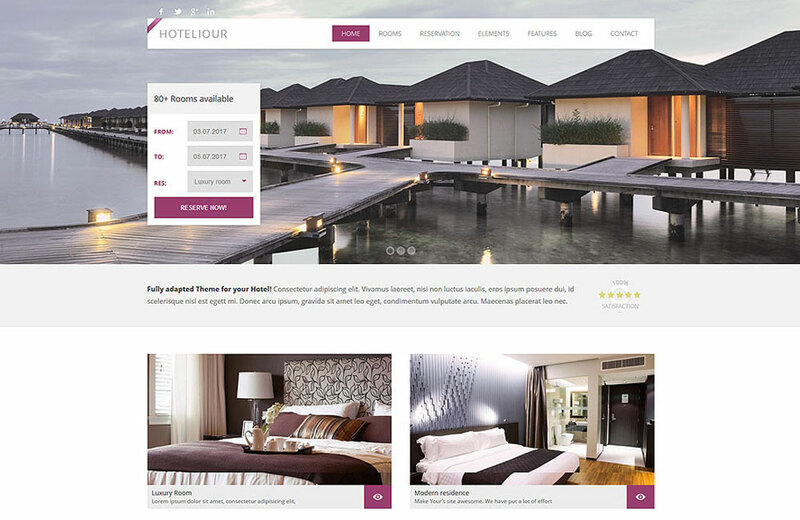 The most important aspect for the website visitor when making the booking is the simplicity. Reservation plugin should therefore have a user-friendly interface so that the user can make a comfortable and quick reservation. Plugin easyReservations allows the end user to make a very practical event booking with the choice of the event, time and number of participants, choice of a hotel accommodation or restaurant visit, along with information on availability and price. All the key information is in one place. The reliability is also important for customers, so that they know for sure that the reservation has been registered. Therefore, email notification with booking confirmation is one of the features. In the free version, website administrator needs to confirm the reservation manually, Premium license allows automatic email sending. easyReservation plugin can also be used as an appointment plugin which means that it will facilitate the planning of meetings with your customers. It’s not just an advantage for your customer who can make a reservation of an appointment in just a few clicks. It is an advantage for you as well. Booking plugin can improve organization of work and help you with more efficient time management. In addition, if you use it as an in-house system, you can also record other agreed meetings e.g. reservations made by phone. With a good quality reservation plugin, there is no risk of forgetting something or having 1 time slot booked by multiple clients at once. 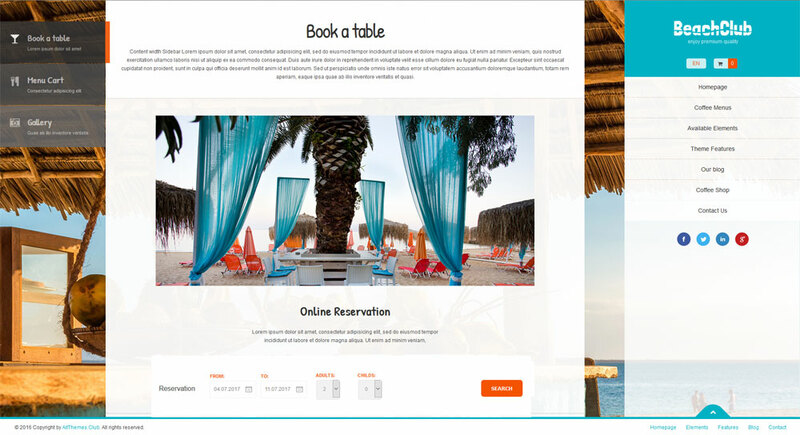 Plugin easyReservation is considered by many developers to be one of the best WordPress booking plugins, because it is very universal and can be implemented on a variety of websites. Our restaurant Premium themes like Ristorante+ and Coffeebar support not only table reservations, but also event bookings. For example Beachclub WordPress Theme that is designed specifically for clubs and bars provides your customers with a comfortable way how to make a booking for the event you’re organizing in your facility. You just need to download the easyReservations plugin*. This plugin is also suitable for reservation of appointments and various meetings. Do you want to provide your customers with opportunity to make a booking in your beauty salon? Or hairdressing salon? In this case we recommend our theme Hair in combination with the easyReservations plugin. The basic version of easyReservations plugin can be downloaded completely free of charge here. It provides a calendar, various booking forms and tables. You can also use many useful features such as adding and editing reservations, or customizing items in the booking form (they are fully customizable). Free license will suffice for a simple website, but for more advanced websites and booking portals, Premium license will be more appropriate. In case you are not so sure which version is better for you, you can always download the Free version first and try out the various functionalities of the reservation plugin. If you like it and you will want some additional features, you can always upgrade the plugin to a higher, Premium version. If you’re building a multilingual WordPress website, you also need the Premium version, because the Free version does not allow you to translate items within the reservation. Comprehensive comparison between Free and Premium version of easyReservations plugin. 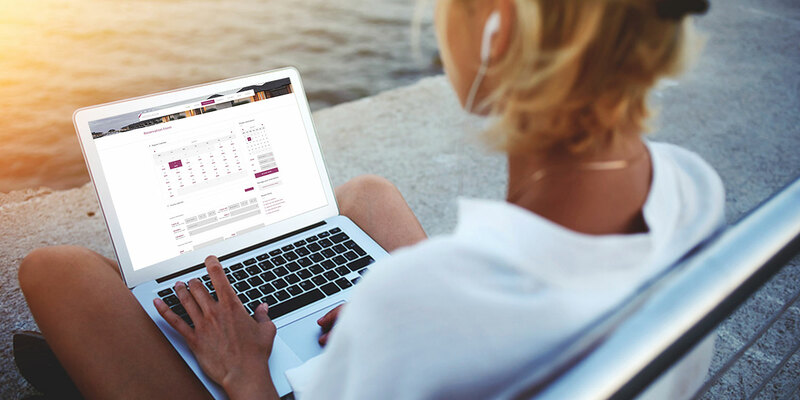 When developing our themes, we needed to work with a convenient booking tool for appointment reservations and event or hotel room bookings and being able to integrate it easily into our themes at the same time. Apart from achieving the compatibility of our themes with the plugin, our priority was to choose such a reservation plugin, so that it can be managed efficiently and in particular – so that it could be used by our users without difficulties. *easyReservations plugin for reservations is a third-party plugin and it is not bundled into our themes. Selected templates are however 100% compatible with the plugin and fully functional once you download any of the available versions (Free or Premium) on easyreservations.org. Have a question regardingthe EasyReservation Plugin. 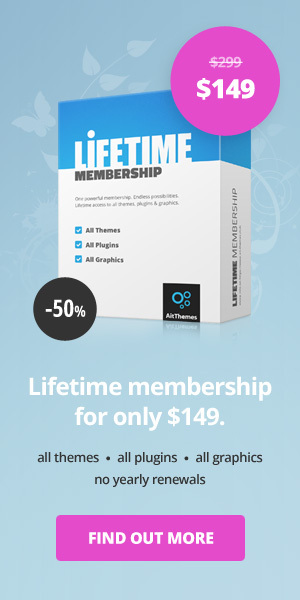 Does it work on any website or theme or it is made only for the theme yu support? Hi mark, could you solve your problem with easyreservations? im doing a research what is the best booking plugin for a site and seems this plugin could be the choice, but i send an email to their support a week ago and dont reply me. Other thing free documentation its very poor, when you buy the license, the documentation its better? Any other booking plugin recommendation Excuse my english. I use Hotelior and found the integration with easy reservations to be quite clunky I paid for the premium service but there seems to be no ongoing development and important things to rentals/events booking like iCal integration are sadly overlooked. I think AitThemes should use their influence to bring to help the author realise the potential of the software, I am having to develop a new website using a different theme that supports iCal just to get around this issue – such a waste of my time and money. thanks for your feedback. We have designed this plugin to work with our theme, but we’ll consider your interesting idea and make decision.